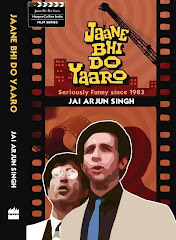 When I was doing the research for my book on Jaane bhi do Yaaro two years ago, writer-director Ranjit Kapoor (the film’s dialogue writer) told me about an incident that changed his life. It was 1969 and Kapoor was a young man in dire straits, nudging towards a life of crime – “main galat raaste pe jaane wala tha” – when he chanced to see Hrishikesh Mukherjee’s Satyakam. The film, about a stubbornly honest man struggling with hard realities, wasn’t exactly fast-paced entertainment, but Kapoor was riveted. “My friend sitting next to me fell asleep out of boredom, but I was weeping silently in the hall,” he recalled. “After that film, the world began to seem like a very different place – I had hit rock-bottom, but I picked myself up.” Forty years later, the experience was still so fresh in his mind that he dedicated his own movie Chintuji to Mukherjee, Dharmendra and Narayan Sanyal (who wrote the novel on which Satyakam was based). Watching Satyakam recently, I realised that its central theme – the death of idealism, the feeble attempt to cling to it against all odds – is relevant in a wider sense to Jaane bhi do Yaaro, though the two movies couldn’t be more different in tone. The latter is a sharp satire about a world where honesty and integrity are relics of the past, and where the words “Sachaai ki hamesha jeet hoti hai” (“Truth always prevails”) are spoken with ironic venom – and directly into the camera – by a villain who has just sent two innocents to jail. Satyakam begins with a sombre background score and a lovely shot (the first of many in this film) of the sun glimpsed through a canopy of leaves. The opening credits are followed by the Gandhi quote “God is Truth, Conscience and Fearlessness”, which signals that we are about to see a serious-minded movie – though it begins with light-hearted scenes of life at an engineering college where a number of young men, including Satyapriya (Dharmendra) and his friend Naren (Sanjeev Kumar), are looking ahead to the New India. The catchy song “Zindagi Hai Kya” provides some tomfoolery (plus a master class in face-contorting by Asrani, whose expressions as he sings the line “Aadmi hai bandar” are a powerful vindication of Darwinism), and a while later there will be the promise of a sweet, conventional movie romance between Satyapriya and a dancing girl named Ranjana (Sharmila Tagore). But these are temporary breathers in a film that will get ever darker in tone. After their graduation, as the industrialisation era begins, the engineers spread out across the country, working on construction projects, moving up in life, and gradually learning about the need to make little compromises along the way: pretend not to notice while a small bribe is being taken or offered; use an influential uncle's sifaarish to get a job; allow poor workers to use official material for an annual festival. But Satyapriya is the exception. Compromise doesn’t exist in his world (you can imagine him scoffing at the very words “jaane bhi do yaar”) and more problematically, neither does moral relativism. Mukherjee’s film lets us see – not through didactic monologues but through the natural, graceful unfolding of its narrative – that such thoughts may be very noble in theory, but that they can be damaging and self-defeating in certain situations. This makes Satyakam a difficult film to watch, as it draws the viewer into a quicksand of uncertainty and despair. (I can sympathise with the boy who fell asleep in the hall next to Ranjit Kapoor, especially if he’d already had a long hard day!) Throughout, there are counterpoints to Satyapriya’s unalloyed idealism, as the film repeatedly places him – and us – in morally hazy situations. For example, when Ranjana is raped by the ruler of a former princely state, it’s a direct result of Satyapriya’s dithering about the finer points of propriety instead of taking action. Shaken and contrite, he then decides to marry her (he must, after all, do the “right thing”), but only after a revealing scene where we glimpse his reservations. Later, it’s implied that he is unable to achieve intimacy with her after marriage, and in this we see traces of his orthodox upbringing – here is a man so bound to traditional ideas that the woman he loves wishes aloud that she could die and be reborn “pure” so he would accept her wholeheartedly. At times like this, not even the most naive viewer can see Satyapriya as an unequivocally heroic figure; his self-righteousness can even get annoying. And yet, he is also a man who is willing to learn from his mistakes and look long and hard in the mirror – in this sense, he reminds me a little of Yudhisthira in the Mahabharata, an initially bland hero who grows in stature by confronting his own weaknesses. It’s possible to see the Satyakam worldview in strictly religious terms: what goes around comes around; there’s someone up there keeping score; “bad” people will eventually get their comeuppance and “good” people will be rewarded. But I don’t think the story can only be appreciated by those who believe in divine justice or in comforting patterns. The film stresses that each individual must find his own meaning in life. At the end, commonsense humanism wins the day and a point is even made about the undesirability of rigidly following scriptures: a narrow-minded old man is so moved by the honesty of a “fallen” woman that he admits his moral defeat and accepts his responsibility towards her and her child – thereby vindicating Satyapriya’s belief in the power of truth. There’s so much to appreciate in this film. Note the subtleties of Dharmendra’s unforgettable performance, the way his expressive face gets cagier and more careworn as Satyapriya buckles under the strain of fighting the world – and his own doubts – single-handed. Watch the young and relaxed Sanjeev Kumar (very good as the sprightly Naren) before he decided that being a Serious Actor meant playing much older, tight-lipped characters. Or the wonderful Robi Ghosh (Bagha in Satyajit Ray’s Goopy Gyne Bagha Byne) in a supporting role as one of Satyapriya’s co-workers. Rajinder Singh Bedi’s dialogue is so rich with subtext that one viewing simply isn’t enough, and nearly every character is carefully shaded. David – the archetypal kindly old man of Mukherjee’s later films – plays a drunken cretin, willing to barter his daughter, but even he gets a brief scene where he gives the hero a dose of self-awareness. And how interesting it is that Mr Laadia (Tarun Bose), who cajoles Ranjana to get Satyapriya’s signature on an important document, turns out to be not a stereotypical villain but a well-meaning man who is genuinely concerned about her family. But I realise I’ve been going on about the story and the characters while neglecting how elegantly crafted this film is – which really is the thing I love best about it. Many mainstream Hindi movies of that time – even the good ones – often seem to be in a rush to move the plot along, which results in awkward cuts, jarring shifts in tone, and a generally episodic quality; scene transitions tend to be functional rather than carefully thought out. Satyakam, on the other hand, is beautifully paced and structured. It’s unafraid to be slow-moving, it plays like a stately visualisation of a good literary novel, and yet it has a strong cinematic sense too – I can’t think of another Mukherjee film where each scene flows so organically into the next. He makes fine use of dissolves and fade-outs to provide a sense of time passing through Naren’s narration, and cinematographer Jaywant Pathare’s use of space is outstanding. I particularly admire the compositions in the climactic sequence where Satyapriya’s dadaji (played by Ashok Kumar) blesses his dying grandson with a shloka about the unassailability of the soul. As Satyapriya’s eyes close, the camera pans away, drifting past Naren and the others in the hospital room, moving almost searchingly toward a weeping Ranjana, and then fading into an infinite whiteness. In scenes like these – and in other, less flamboyant but equally lovely shots – you see how personal a project this film must have been for Mukherjee, and how invested he was in it. It’s rare to see such attention to visual detail in his later movies, which stress narrative over form. It's interesting to compare Satyakam with a much more popular Mukherjee film made two years later – the Rajesh Khanna-Amitabh Bachchan starrer Anand. Both films have a similar framing device – in each, the story is told by a writer (Naren in Satyakam, the doctor-writer Bhaskar Banerjee in Anand) as a tribute to a dear friend who died tragically young but whose life was an inspiration for those around him. However, Satyakam is a hard-edged film that never lets the viewer off the hook, whereas Anand is cheerier, more audience-friendly and makes the most of Rajesh Khanna’s twinkly superstar persona (don’t miss the sudden and incongruous swell of music that marks Anand’s first appearance in the film). In his essay “Cine Qua Non: An Undergraduate History of Hindi Cinema”, Mukul Kesavan contrasts Satyakam (“the last rigorous celebration of idealism in Hindi films”) with three movies, including Anand, which “instead of examining the consequences of idealism, use idealism to give the narcissism of their male stars a justification”. I think Anand is a good film in its way, with one notable advantage over Satyakam: Salil Choudhury’s lovely music score. But it does depend heavily on the Khanna cult, and on the fanboy’s confusion of the actor with the character. (It’s no coincidence that you regularly find comments on the Internet that use Anand’s personal courage to extol the movie-star who plays him. Sample: “...the jaunty, winsome and death defying personality of Anand is superbly embodied in the vivacious expressions of Rajesh”.) In my view, Satyakam is unquestionably the more nuanced and mature work between the two. In hindsight, then, Satyakam was a turning point in Mukherjee’s career. His later films suggest a more practical approach to a mass audience’s needs – perhaps it could be said that he chose Naren’s sincere but worldly-wise stance over Satyapriya’s inflexibility. Through the 1970s, he made many fine movies with a stunning lightness of touch (even when they were about serious things), and that’s the period most of us today associate him with. There is relatively little lightness in Satyakam. It’s almost claustrophobic in places, it doesn’t have beautiful, uplifting songs like “Zindagi Kaisi Hai Paheli” and “Aane Waala Pal” to provide the viewer with emotional succour, and at 2 hours 50 minutes it’s significantly longer than most of Mukherjee’s later films were. But it’s a hugely rewarding work for the patient viewer, and for the cine-aesthete (yes, I just made up that word). I love the later Mukherjee films like Gol Maal and Rang Birangi, but I think Satyakam is a monument of Hindi cinema – a movie every bit as dignified and uncompromising as its doomed protagonist. I haven't seen Satyakam, but the plot does remind me of Do Bigha Zamin, where the protagonist refuses to bend the moral rules despite facing adversity. Also, not sure if you've read the book, but "The Difficulty of being good" does deal with similar issues and uses Mahabharata as the backdrop. Have read the Gurcharan Das book, wasn't too impressed. Some nice bits but he I though he laboured too hard to draw connections between specific parts of the Mahabharata and modern politics/business. Vishal12: if you do see it, try to watch it on a decent-sized screen - a big TV if possible. Though Satyakam is the sort of film that tends to get discussed primarily in terms of its "ideas", for me the visual beauty is a big part of its overall effect. It would be interesting if someone were to compare this film with the Capra classic It's a Wonderful Life. This is pretty good entertainment. Nevertheless, it is only when you watch it alongside a film like IAWL that you realize how much more simplistic Satyakam is. Satyapriya is easy to comprehend. One doesn't spend too much time analysing him after watching the film. Whereas George Bailey fascinates you as a person after several viewings. Satyapriya's self-righteousness often seems pig-headed. Whereas George Bailey's actions of altruism are more interesting - they reveal the vanity and the conceit of the man! I could personally relate to him in a manner I couldn't relate to Satyapriya! There is a strong streak of vanity in Satyapriya as well. Yet, he doesn't seem to realize this weakness of his. That's what makes him somewhat unintelligent and less fascinating. Bailey on the other hand knows he is vain. And he is ashamed of it. He wants to overcome this weakness but finds the pleasure that conceit brings too tempting. Despite his best efforts to change himself, he is imprisoned by his ego and megalomania. I think that's what makes IAWL a more successful film than Satyakam. Fascinating look at Satyakam, thanks Jai. Also thanks for the link to Mukul Kesavan's piece. shrikanth: I disagree on many fronts. Firstly, I don't agree at all that Satyakam is simplistic. Sure, Satyapriya may be easy to understand (though like I said in the piece, he does show the personal growth and internal conflict that mark Yudhisthira) - but how does that imply that the film is simplistic? The film isn't unequivocally on the side of its hero (which is another thing that makes it more challenging and difficult than Anand). I also disagree that Satyakam is "pretty good entertainment" - if by that you mean that it's easy to watch. In any case, like I think I've mentioned before, I'm not a huge admirer of IAWL; that film just doesn't affect me personally in the way it affects a lot of people. Radhika: I find it fascinating how some of these old stories get modified or added to over time, in keeping with a more sentimental religious belief that things will work out for the best in the afterlife, even if your life on earth is harsh and sorrow-filled. Jai: I didn't use that phrase in a pejorative sense. I agree Satyakam doesn't unequivocally side with the hero. Its just that the villains are less interesting than they are in say IAWL. The corrupt prince for instance is far less interesting than Mr Potter - a man who is hardly a villain - someone who would be rather liked by young Americans of libertarian/conservative leanings today! Have you seen the McCarey film Good Sam? Apparently, it's another great film about the difficulty of being good. Haven't got hold of it. Jai: A beautiful post much like the movie itself. Satyakam as a movie is a milestone in hindi cinema in it's gut wrenching and heart tugging depiction of idealism at the end of the Nehruvian and begininning of the Indira era in this country. It takes you back to a time when idealsim still had a noble tag to it and was rarely scoffed at as today , even though few practiced it . I like your inference that Mukherjee probably understood that taking things lightly will fetch him a wider audience in the next decade . He followed this dictum and still came up with brilliant work however 'Satyakam' was as much his masterpiece as Dharmendra's. 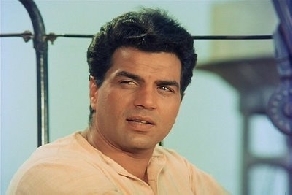 It is high time that Dharmendra is recognised as somebody who did brilliant work in the 60's and 70's and not as an alcoholic Punjabi who was good only at hurling abuses. He might have been inconsistent in the 80's but for me, he was always a director's actor. I liked your analysis of Anand , for all its noble intentions , I have always been jarred by Rajesh Khanna's over the top histrionics in this movie. Satyakaam is really need of current india. Recently we can see Anti-Corruption process running by Anna Hajare. Time to wake up and adopt the way of Truth. in this we see traces of his orthodox upbringing – here is a man so bound to traditional ideas that the woman he loves wishes aloud that she could die and be reborn “pure” so he would accept her wholeheartedly. Jai: I rewatched the film today. I slightly disagree with this reading. I don't think Satyapriya's distant attitude towards the wife is suggestive of his puritanical upbringing. What holds him back is his conscience. Suppose he were to lead a more "normal" married life, it might be suggested to him by his conscience that his decision to marry the girl was less driven by his urge to "do the right thing" than it was by a natural romantic impulse coupled with fortuitous circumstances that enabled him to take advantage of the girl's pathetic situation. In this regard, Satyakam is your typical Indian male, blessed with a conceit that makes him impervious to everything else in this world besides his precious conscience!! There are traces of Satyapriya in MK Gandhi as well, I think. Your point regarding the puritanical obsession with "purity" is, I think, more relevant in a few other films that both of us love - especially Vertigo and The Searchers both of which have something in common with the Indian epic of Ramayana! Shwet: thanks for the comment - glad you liked the post, and good to see you here after a long time! Shrikanth: that's certainly an interesting interpretation, but I can't agree with it. My own take is based largely on Satyapriya's initial hesitation about marrying Ranjana, and his telling words to her father that "there are many open-minded and liberal young men these days - one of them will surely marry her". However, I think we'd agree that the friction of ideologies between him and his grandfather is a driving force for much of what happens in his life. I agree that the corrupt prince is relatively uninteresting, but I'd also say that he's the only such character in the film. Mr Laadia, for instance, is every bit as interesting as Potter in IAWL (having said which, I don't find Potter as interesting as you do). Jai: Satyapriya didn't even keep his wife's past a secret from his friend! I wouldn't expect such a person to be held back by medieval scruples. The only thing that can hold him back is his "conscience". The Indian male's emphasis on "conscience" and "inner voice", to my mind, limits his world view and makes him lose sight of the big picture. Naipaul discussed this brilliantly in his travelogue - India - A Wounded Civilization. He talks about how MK Gandhi in his autobiography describes in detail his very trivial flirtations with food and women in England, but has absolutely nothing to say about Victorian London - the greatest city of its time! I found Naipaul's observation fascinating. Gandhi's obsession with his "inner conscience" and his ideas of what's right and what's wrong, prevents him from actively experiencing the sights and sounds of the greatest metropolis of the 19th century - something that should ideally have taken a Rajkot boy's breath away! It isn't orthodoxy/puritanism that inhibits Gandhi. He was anything but religious in a conventional sense. What inhibits him is his trivial battles with his "inner voice" that numbs his senses. Jai: What a wonderfully sensitive piece on this truly classic film, and what a time to write about it, when anti-corruption crusades are getting so much public play. I have been following your blog Jai , just has been caught up in so many things that I have sometimes been guilty of not expressing my thoughts. Beautiful piece Jai! Havent seen Satyakam but I watched some clips of it on youtube after reading this. Just love dharmendra in this ... his acting is so earnest, it never looks made up or fake. Also the idealism present, maybe in all movies of that era ... when will we ever see that again! I’d have to disagree to a certain extent that Hrishikesh Mukherjee kept off the serious stuff in the 70s. He was unfortunate in that those he did make—‘Alaap’ (1977) and ‘Naukri’ (1978) despite Amitabh Bachchan in the former and Rajesh Khanna and Raj Kapoor in the latter—bombed at the BO. 'Naukri' certainly is hardly known of and is a repudiation of much of what you say in your analysis of ‘Anand’ above inasmuch as it concerns the 'persona' of Rajesh Khanna. I think that Hrishikesh M erred in trying to fit ‘Naukri’ into the mainstream with songs which this could have done well without, given how uncompromising the subject was. Its treatment, for the most part, was like theatre rather than cinema. Also, in its sentiments it seemed to continue with the thread HM explored in ‘Satyakam’. ‘Satyakam’dealt with disillusionment of an idealist after the country’s independence—‘Naukri’ anticipates that disillusionment, that corruption, greed, selfishness, etc. will not go away when the British do (the film is set in 1945-46). Rajesh’s performance is an eye opener, a total anti-hero, wearied look, dark circles under eyes, despairing, helpless. Played just right, no one-upmanship on screen, what a really good actor he was in the hands of a good director. ….These two movies are essentially about the quality of the SOUL. In both films, the hero is physically damaged—cancer in Anand and a cripple in Naukri. In one film HM explores how the soul rises above it all and a human tries to moderate this soul (Bhasker) and in Naukri the soul is defeated and an ANGEL helps him rise above the desperation. Only people like HM and Salil Choudhury could think such thoughts in Hindi filmdom and that’s why Kaka [Rajesh Khanna] who never has time for most people loves HM to the extent he spoke about him at Goa (IIFI) in 2005. Suhan: very stimulating comment, thanks - Naukri has been on my to-watch list for a long time now, but you've knocked it much higher up the list. To clarify: though I'm very far from being a Rajesh Khanna fan, I don't agree with everything Kesavan writes in that piece - for instance, when he says Khanna's performance in Anand is hard to watch today without cringing or giggling. aaargh - imagine having typos in an erratum post meant to correct earlier typo. sigh. "much more glam version of Baghban"
Nice post..I respect only three movies of Dharmendra from my heart, one is Satyakam,Second with similar tone and theme, Dost...and last but not the least Chupke Chupke...In these Films, his work is phenomenal..way ahead than his other movies..
@Gaurav you must watch "Naya Zamana" and "Mera Gaon Mera Desh" too. @Jabberwock - I think Satyakam failed because it brought in a sense of guilt among the audiences. They were not rejecting the film. They were only rejecting their shortcomings and focusing more on what needs to be done better. Its not their fault at all.